On 15 June 2017, Thomson Reuters announced the latest update of its Journal Citation Report (JCR), the world’s most influential resource for evaluation peer-reviewed publications and the source of annual journal metrics, including the Journal Impact Factor. The release of the JCR and the Impact Factor is eagerly anticipated annually by publishers and editors as the Impact Factor remains the most prestigious and widely understood metric. 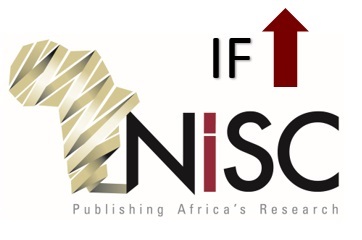 NISC currently publishes almost 20% of all the African journals which receive an Impact Factor, most of which appear in the top half of the list. At NISC we have a long-term outlook on journal metrics, including the Impact Factor. We aim for steady improvement instead of instability. While individual Impact Factors do fluctuate, NISC Journals have been on an upward trajectory in recent years. While we cannot take sole responsibility for this improvement, as our editors and authors need to take the majority of the credit, we do feel that we have had an important role to play.